There are many different types of GSD resources which are available for you to further research your German Shepherd dog. Below you will find a partial list of a few of the more important places to start with for issues such as GSD health, GSD rescue, breed information and working abilities. The internet is the best place available for more information concerning the German Shepherd Dog. Here you can learn more to be a better GSD owner, discover the world of German Shepherd history, become a better dog trainer, research new grooming methods, gain knowledge of in-depth health tips and more. Information for and about the German Shepherd are abundant. 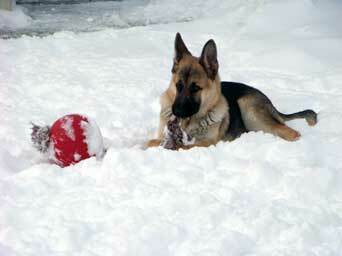 Surf any of the links below to satisfy your questions and gain more knowledge about the German Shepherd Dog breed. We will do our best to make things so much easier for you as an owner of a German Shepherd by providing you with as much great information as possible.